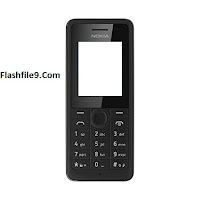 This post We Will Share With You Latest Version Of cell phone Nokia 105 Stock Rom (Flash File). Before Flash Your Nokia phone First Checks Your Phone hardware problem. if your device has a hardware problem solve it then flash your phone. also backup your all kinds of user data like contact, message etc. after flashing your Nokia 106 Mobile phone all data will be lost. so before the flash, you should take a backup you're all of the user data. move your contact number on SIM card remove it. What Type Of Problem Solve After Flashing Nokia 106 Mobile Phone? When You Turn On Your Phone device is only show Nokia logo on screen then stuck. your mobile phone Nokia only show the Nokia logo on the screen. if you open an option device will auto restart. The phone is hang/freezing problem.